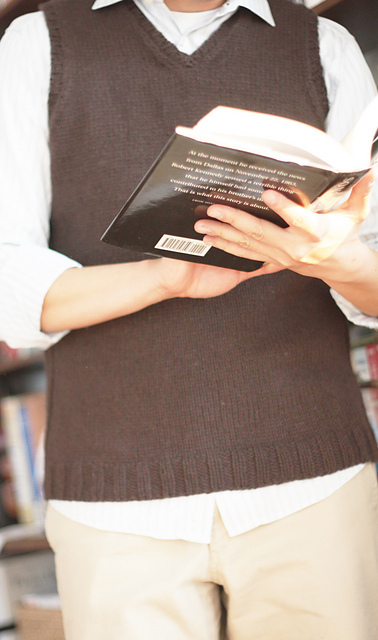 Sometimes I search out knitting; I go to the library and look through books. I spend hours scrolling through Ravelry or visiting yarn shops. I’m not complaining, obviously, I think it’s fun, interesting, and a pretty pleasant way to spend an afternoon. But, sometimes knitting just jumps out of the weirdest places, without any warning. 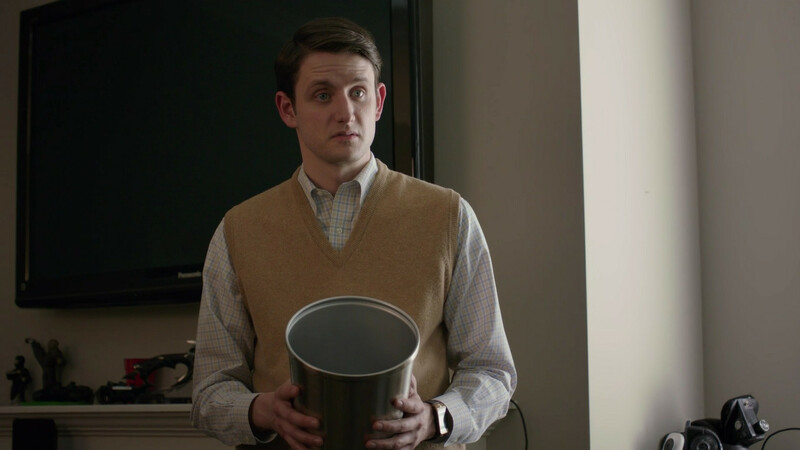 For example, I was catching up on last week’s episode of Silicon Valley (episode 36, “The Keenan Vortex”), and BAM! Knitting! 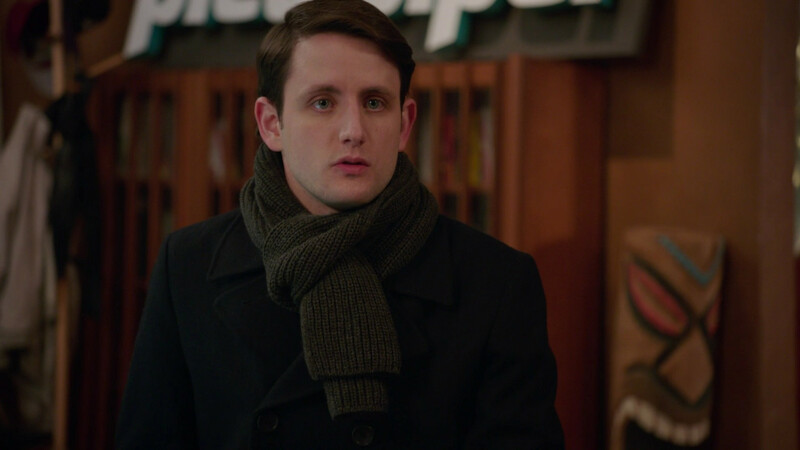 He starts out slow, with a simple ribbed-scarf-and-pea-coat combo. Classic. 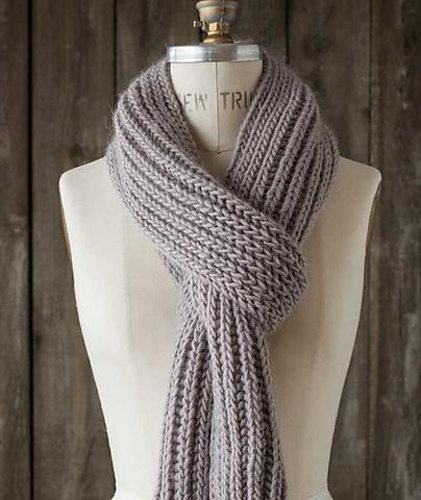 I need a nice simple scarf- maybe I should follow Jared’s lead and knit up one of these. Fisherman’s Rib Muffler in Three Gauges by Churchmouse Yarns and Teas Then he stepped up his game with a mustard sweater vest. Now, I’m not usually a fan of a sweater vest, but if I really wanted to stay true to the Jared spirit, I’d knit up one of these bad boys. 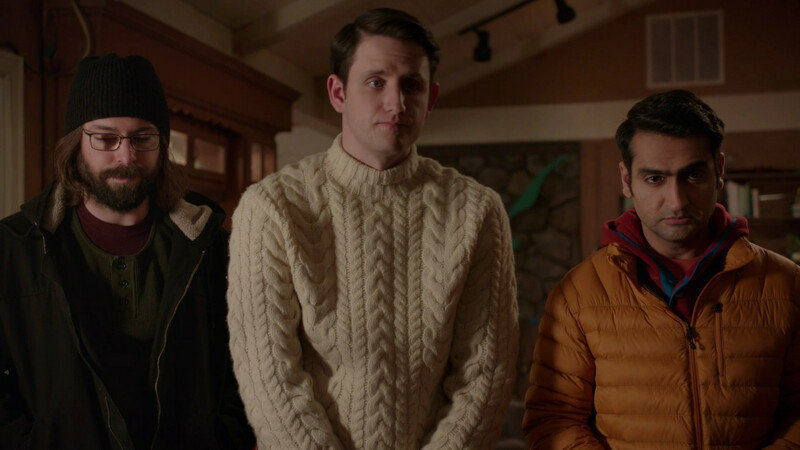 Nathan by Jones & Vandermeer But the best knitwear is definitely saved for last- Jared comes out of nowhere with this amazing cabled gansey turtleneck. 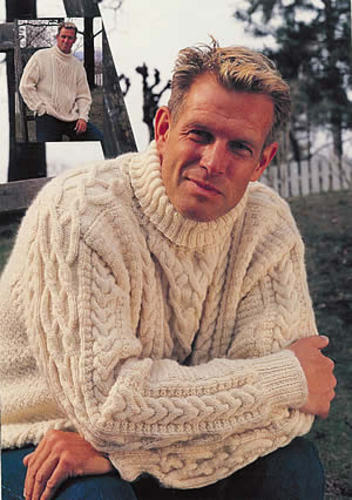 The guys on the show tease him for it, but I gotta say- I love anyone who can unironically rock a cabled sweater. Those are my people. It’s not as great as Jared’s sweater, but this one’s pretty good, too. 59-6 Sweater by DROPS Design Have your favorite TV characters ever shown up in knitwear? This entry was posted in Inspiration and tagged cable, cabled sweater, jared, knit vest, knitting, ribbed scarf, scarf, silicon valley, sweater, v-neck vest, vest on June 19, 2017 by onemilljellybeans.